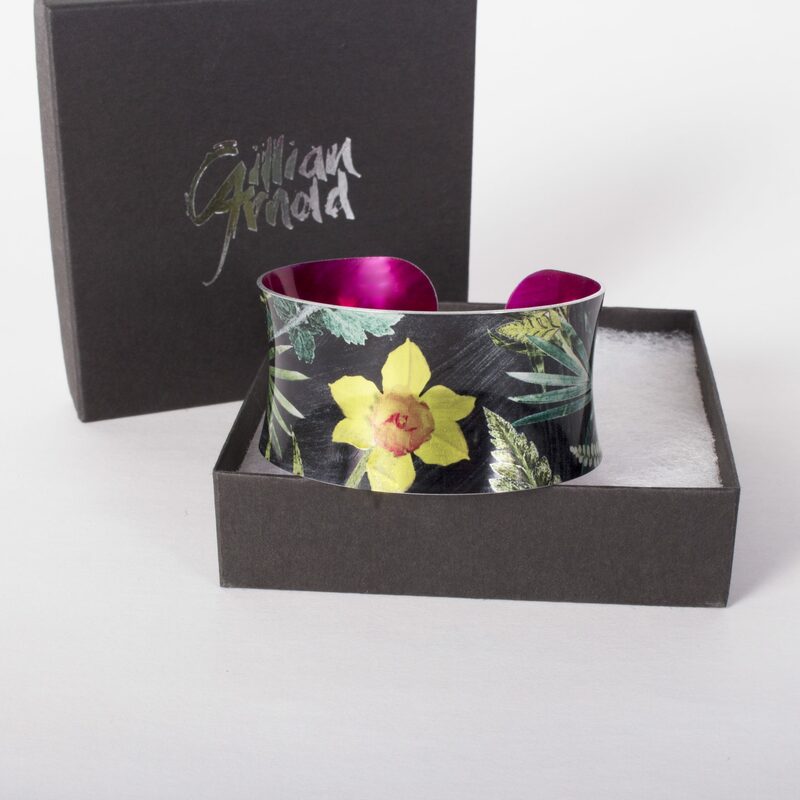 Home / Botanical Inspired Handmade Jewellery & Gift Lockets / Personalised Birth Flower Jewellery, Cuff Bracelets & Bangles / March Birth Flower Bracelet Gift For Her, Daffodil, Beautiful Floral Bangles and Jewellery. March Birth Flower Bracelet Gift For Her, Daffodil, Beautiful Floral Bangles and Jewellery. March’s birth flower, the Daffodil, symbolising sunshine, friendship and happiness. February Iris Birth Flower, Personalised Photo Locket Necklace Gift For Her, Beautiful Floral Pendant Jewellery.